Ikea Edmonton has partnered up with the Edmonton Mennonite Centre for Newcomers to recruit refugees to work in its store. Ikea Edmonton has partnered up with the Edmonton Mennonite Centre for Newcomers to recruit and hire refugees to work in its store. The initiative is part of a national program launched by Ikea Canada, which aims to hire 250 refugees over three years. The program will provide valuable work experience for refugees in Edmonton, said Laurie Hauer, manager of employment programs with the Edmonton Mennonite Centre for Newcomers (EMCN). Beyond providing an income, having a job also helps refugees feel connected to a community, Hauer said. "It's about knowing that you're contributing to something greater and bigger," she said. "It's about the relationships that you make." Jobs are available in all departments, including food service, sales and IT. 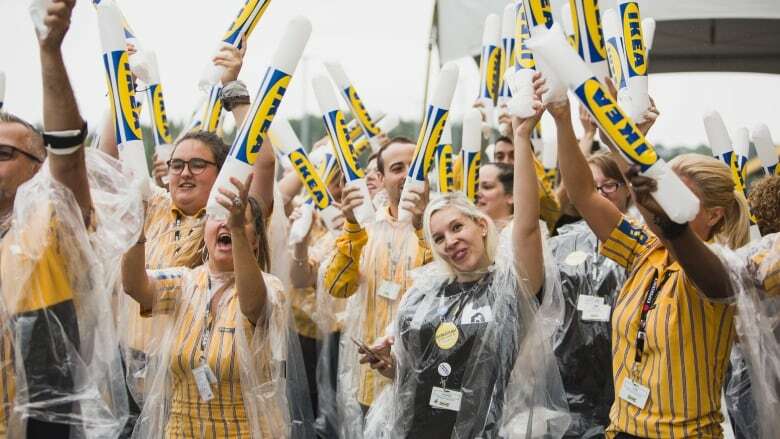 The company will benefit from having a more diverse workforce, said Ikea Canada's head of sustainability, Brendan Seale. "By removing barriers for these newcomers to Canada, it really allows us to access a broader pool of talent," Seale said. "We also know that when we have a more diverse and inclusive workforce, we have different points of view. It helps us to avoid the groupthink and bring in new perspectives." Ikea Canada wants to complement the supports that local agencies are already offering to refugees, Seale added. "It's really to take a holistic look at the experience of a newcomer to the community," he said. "Employment, of course, is an important part of that." Ikea Edmonton and EMCN are beginning the hiring process next week. The EMCN will help with the recruitment aspect, striving to match refugees with work that will make use of their skills. "It's a new way of understanding and hiring a workforce," Hauer said. "Really looking at people and how they contribute, and where their growth is." "It's an amazing trend that should be happening across the labour market."